It is a requirement of your Agreement, that the goods are protected against Theft and Accidental Damage. We can arrange Theft & Accidental Damage Cover for £1.46 per week. It is a requirement that products purchased on a credit agreement are insured. We can offer Theft and Accidental Damage Cover for £1.46 per week. 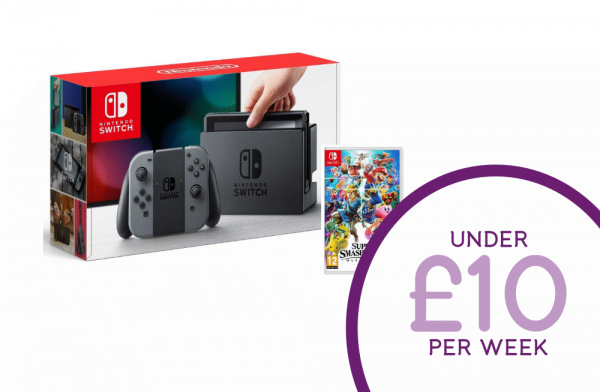 Nintendo Switch is a new, exciting gaming console that you can play at home or on the go. Its innovative design allows your to turn it from a console you plug in to your TV into a portable tablet-style gamer you can enjoy when you're outside the house.